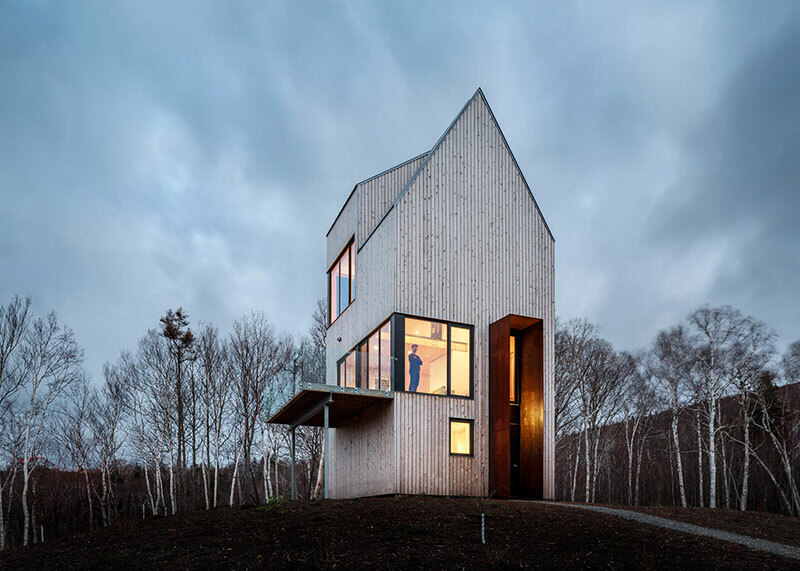 A modern cabin in the form of a traditional gable by architects Omar Gandhi and Design Base 8 out of New York City. 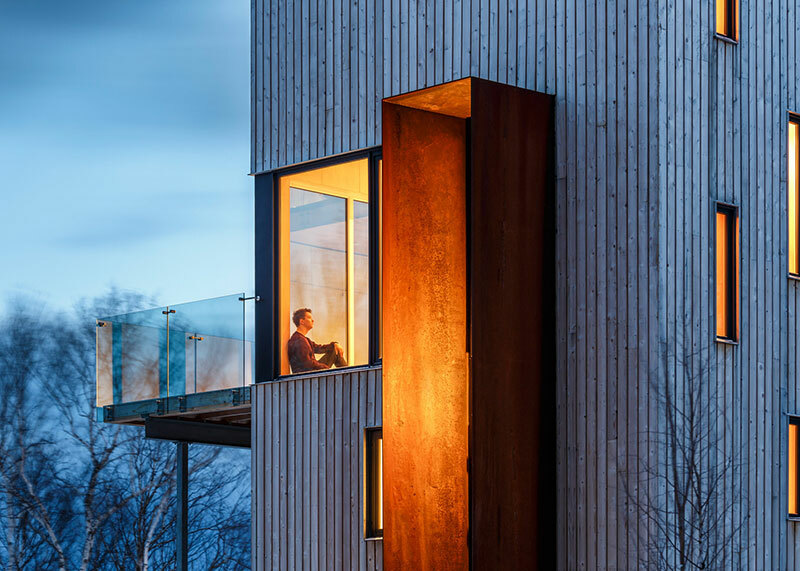 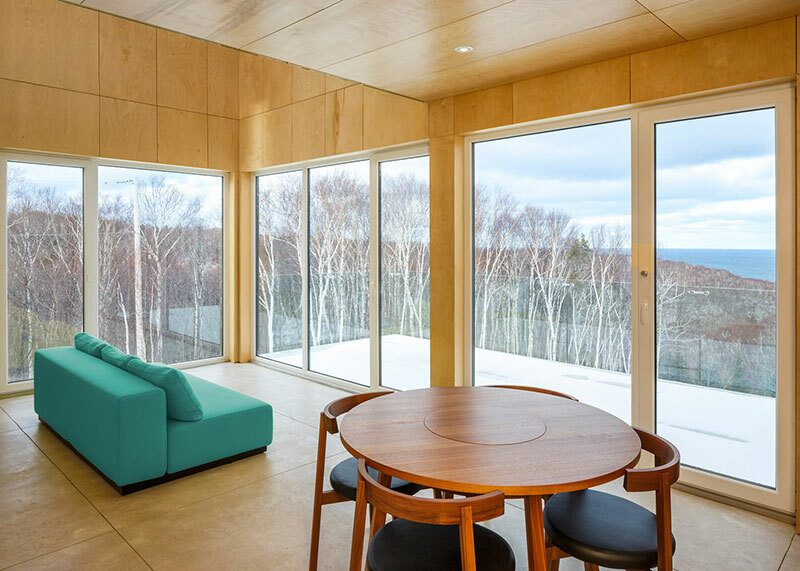 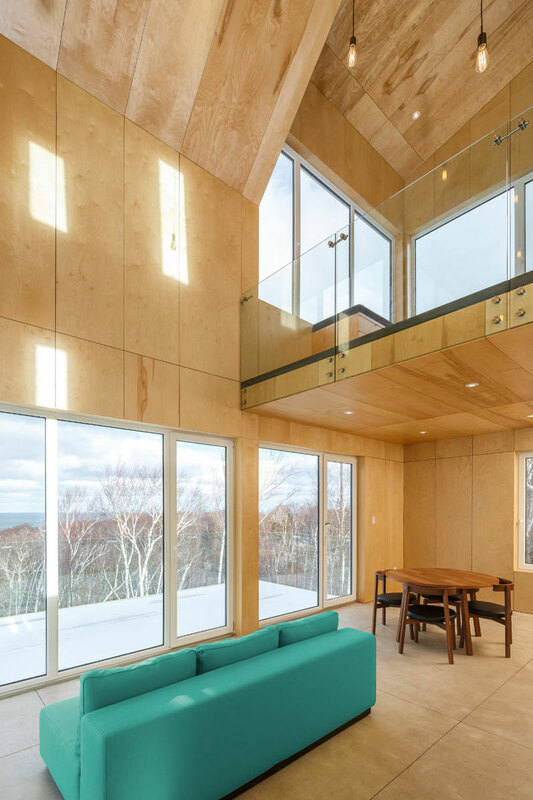 Located on the coast of rural Cape Breton, Nova Scotia, the timber-clad home was built for an arborist and outdoor pursuits enthusiast. 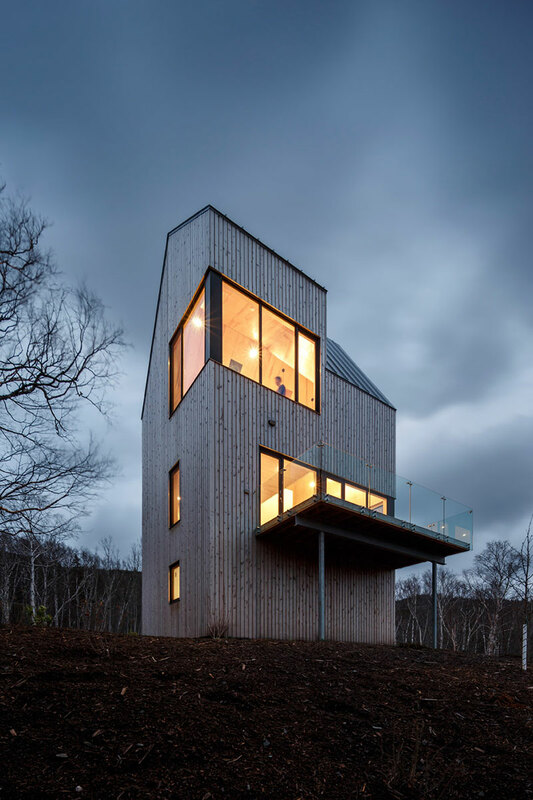 According to the architects "the archetypal gable and shed forms of the cabin are combined to open views and follow the path of the sun, emphasize the major interior spaces, and accentuate the verticality of the tower." 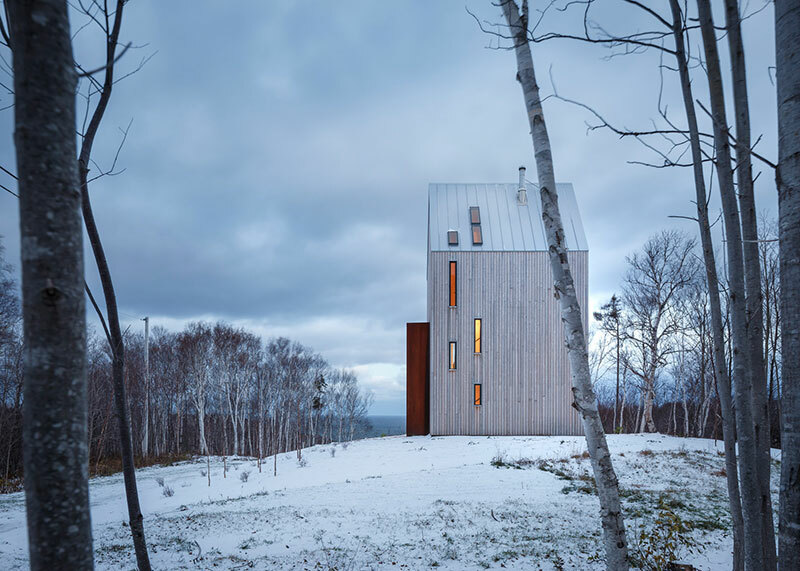 The modern cabin has a rust-colored steel frame that covers the doorway which takes its shape from the entry windbreaks unique to Cape Breton. 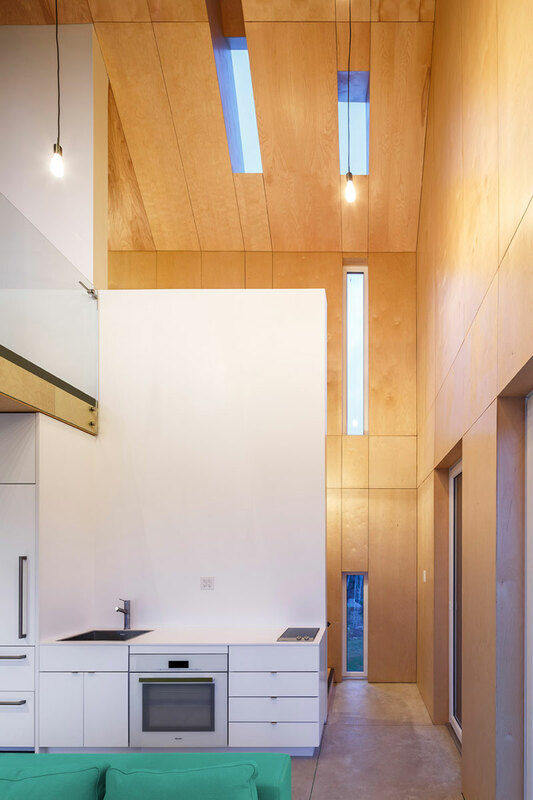 Due to its elevated location, the building has a robust structural system consisting of braced panels to withstand lateral and uplift loads. 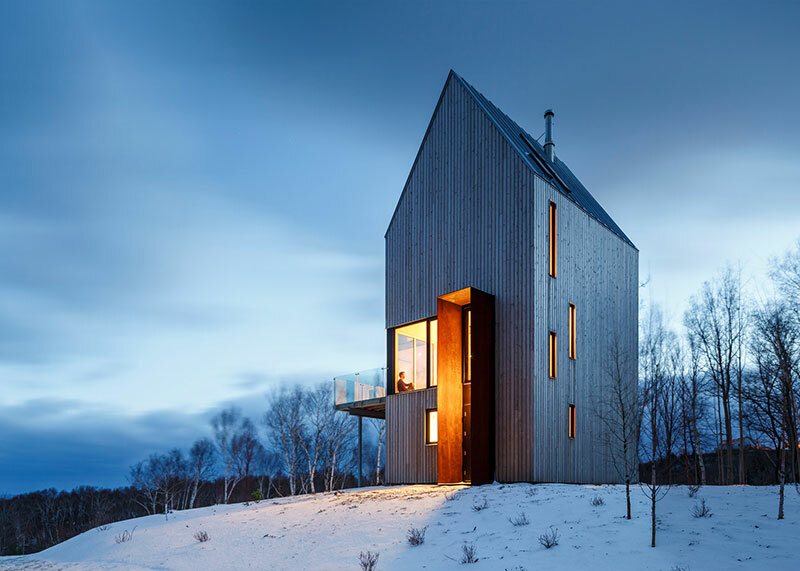 A modern cabin in the form of a traditional gable by architects Omar Gandhi and Design Base 8 out of New York City.